Drive through New Orleans' Lower Ninth Ward -- even today, a decade after the deadliest U.S. hurricane in 75 years -- and you'll see the legacy of Katrina. Downed trees, overgrown lots, homes in every state of disrepair -- without roofs, without walls, but mostly, without people. Only 37% of the neighborhood's pre-Katrina population has returned. Head west on N. Miro Street toward the Industrial Canal. They've repaired the breach there, all quarter-mile of it. Those faded "Xs" spray-painted on homes -- that's how rescue workers indicated that they'd searched inside. Sometimes they found survivors. Too often, they found corpses. Take a right on Flood Street -- where else? -- and that's where you'll see it. An outdoor boxing ring, rising out of the tall grass like a mirage. Except this is the real thing. This is the Running Bear Boxing Club, home of Harry Sims. Every day after school, Sims trains a dozen children, including his twin 14-year-old grandsons, De'Shane and Dennis. "He started boxing because he didn't like what he was seeing in the streets. People selling drugs and fighting on the street and going to jail," Dennis told CNNMoney. "We lost our dad because he was on the street selling drugs," his brother added. Sixty-three-year-old Sims, a recently retired longshoreman, founded and self-financed the club in the early 1990s. But in the chaotic days following Katrina, the Lower Ninth Ward sustained 12 feet of flooding. Sims evacuated to the Superdome. His home was destroyed and his boxing club was washed away. Two weeks later, he was back, one of the first Lower Ninth Ward residents to return. He soon began rebuilding his ring. "You make it better by fixing it," he said, "Don't run from it. I can't run. I'm not a coward to run." Sims estimates that Running Bear has cost him $100,000 (he doesn't charge for the training), but he's had success. 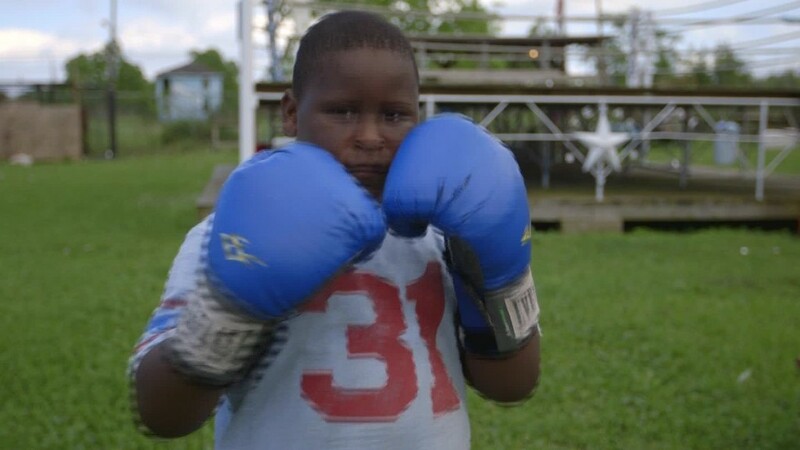 He's trained hundreds of boxers and several have competed in the Louisiana Golden Gloves. Others have returned to coach the next generation. "You're responsible for your own village," he said. "If you can't get out there and try to change the youngsters coming up behind you, you ain't worth nothing. ...I'm trying to get it straight. The Lower Ninth Ward gonna grow bigger." 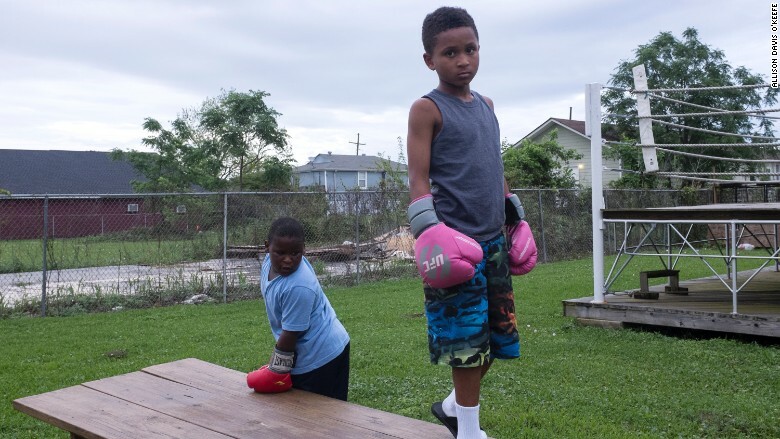 The Running Bear Boxing Club was destroyed in Hurricane Katrina.